In a recent sit-down with CNN’s Van Jones, Dave Chappelle revisited his public plea to give Donald Trump a chance, telling the host that he felt like he didn’t have much choice at the time. Chappelle also expressed disappointment in the president’s “repugnant” rhetoric. The comments were made during an SNL monologue Chappelle did shortly after the 2016 election. 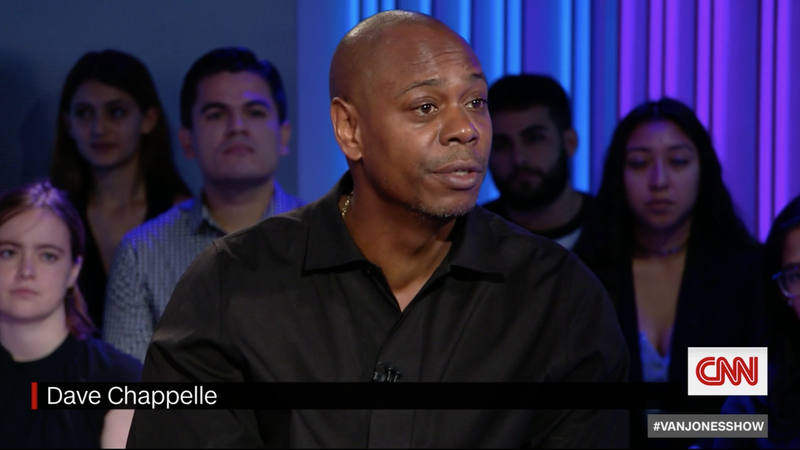 Earlier in the segment, Chappelle fondly revisited a celebration in Barack Obama’s White House that made him feel particularly hopeful about where the country was headed. Jones, in a special that will air in full on Saturday night, asked Chappelle whether he felt Trump gave disenfranchised people a chance. Chappelle then connected that to his own experience as a comedian. He noted that the United States was far more eclectic than the people Trump preaches to. “I don’t like talking bad about the president. I said we should give him a chance because he’s the president of the United States now. What choice do I have?” Chappelle said. Democratic nominee for Maryland governor, Ben Jealous, who appears alongside Chappelle in the segment, then chimed in, saying he thought Chappelle had already apologized for that statement. Jones’ interview with Chappelle and Jealous will air at 7:00 pm ET Saturday on CNN.